Robert Zhao Renhui has become one of Singapore’s best-known and most acclaimed artists through his single-minded obsession with zoology. As he unveils his latest series – focusing on birds, bees and flowers – Gwen Pew heads to his studio to meet the man behind the camera. Robert Zhao Renhui in his studio. Image courtesy of Morven Koh. 5 Dec 2013: The bright yellow door is unlocked, the lights inside flicker on, and into a jungle of creativity we tumble. There’s almost too much to take in all at once: on the central table alone, there’s a box filled to the brink with iridescent beetles in packets, a fake yellow flower with long tassels pokes its slender neck out from a shiny bronze vase, a dead fish lies pickling in a jar with a few other bugs next to a microscope. The rest of the room brims with books, shelves, boxes and framed photographs of landscapes and various animals lining the walls. His fascination with animals started at an early age. He remembers always wanting to go to zoos wherever he went, and started collecting and taking photos of roadkill – which he kept in jars filled with alcohol – when he was 16. Today, he is known for his award-winning images of animals and the natural world in general, and operates under a fictional society called the Institute of Critical Zoologists. If you look under the ‘History’ section of the website, it says that the institute was founded in 1996 as a merger between Japanese and Chinese animal centres. 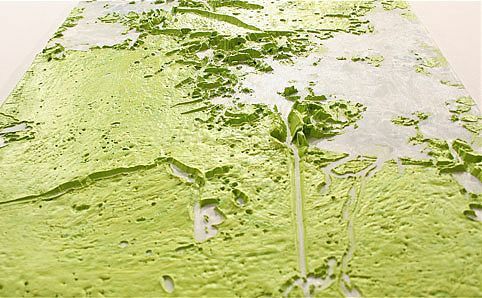 In reality, however, Zhao established the platform in 2008 during his time at the Camberwell College of Arts in the UK. Furthermore, most of the life-like animals in his pictures are, in fact, usually either dead or realistic-looking models and toys collected from various sources, including pet shops (where he buys most of his dead fish and birds) and donations from various friends. 2013 has been a busy year for Zhao. He was one of six local artists to be selected to take part in the President’s Young Talents exhibition earlier this year, and is currently showcasing his expansive series, A Guide to the Flora and Fauna of the World, at the 2013 Singapore Biennale (on display at the Peranakan Museum), which is essentially an encyclopaedic series of portraits of over 50 domesticated animals or species that have learned to adapt to man-made environments. As he delved deeper into the world of bees, another series of works began to form. He found out that bees, along with most insects and birds, see and communicate in the ultraviolet spectrum – so attempting to present the world as they see it, Zhao shot a series of images with a handheld UV light. Each shot consists of six or seven different photos, all stitched together on Photoshop, where Zhao also enhanced the UV colours digitally. The finished collection of nine photographs, named The Last Thing You See, opened last month at 2902 Gallery and will be showing until the start of January. 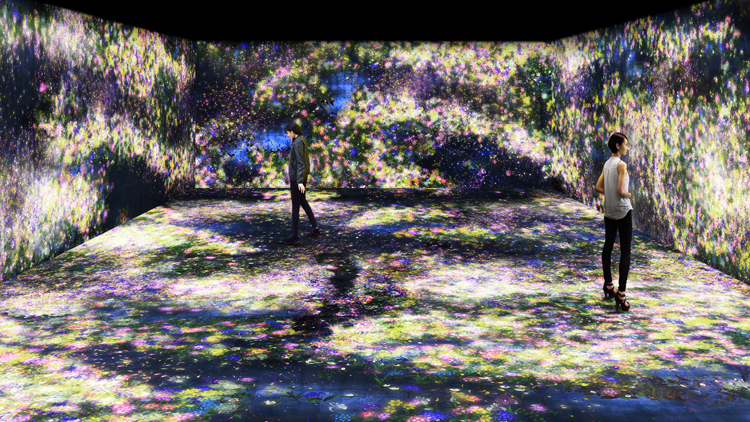 Part of the idea, says Zhao, is to question the idea of vision and our understanding of what living things see. From the teenage roadkill collector messing around with his dad’s camera to a nationally-beloved photographer whose star is still on the rise, Zhao has certainly come a long way – and he has no intentions of stopping here. He doesn’t think that he’ll be moving away from working with animals and nature anytime soon, but looks forward to continuously refining his style. The fourth edition of the Singapore Biennale – one of the largest events on the local arts calendar – has officially opened. In this first of nine video interviews with artists from various artistic and cultural backgrounds, Gwen Pew delves into the brain of multi-disciplinary artist Guo Yixiu and find out who the man in her colourful installation piece really is. 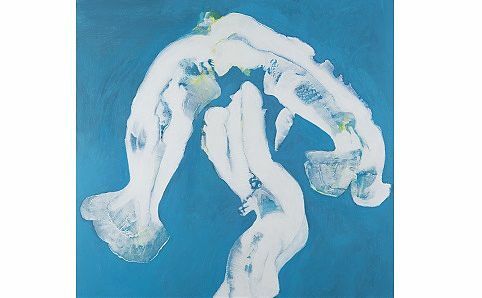 Now aged 52 and based in Switzerland, Qiu Jie was born in Shanghai and grew up during China’s Cultural Revolution, a period that had a huge impact on him as an artist. Gwen Pew finds out more. A rather dashing Qiu Jie. Image courtesy of the artist. 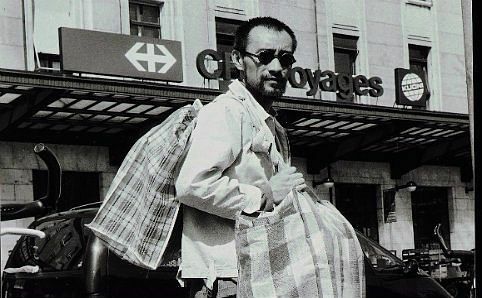 8 Oct 2013: Now aged 52 and based in Switzerland, Qiu Jie was born in Shanghai and grew up during China’s Cultural Revolution, a period that had a huge impact on him as an artist. Children were only sent to school for a few hours each day at the time – mainly to learn about the greatness of the Communist Party – and so the young Qiu passed his time by learning how to draw. Qiu went on to graduate from art schools in Shanghai and Geneva, and is now best known for creating works in pencil that merge images from the historic East and contemporary West. Around 30 of those pieces are on display at Art Plural this month, featuring sentimental portraits by a man caught between two worlds. Two curators tell Gwen Pew why art newbies should take the time to visit this year’s Singapore Biennale. A work in local artist Ng Joon Kiat’s ‘Maps’ series. Image courtesy of Osage Gallery. 5 Oct 2013: Founded in 2006 as a platform to stimulate dialogue between works by local and international artists, the Singapore Biennale quickly established its reputation as one of the largest art events on the country’s cultural calendar. Held every two years, this fourth edition returns with a bold theme of ‘If the World Changed’ this month, and while the quality of artworks remains stellar, a lot of changes and improvements have also been made to the structure of the exhibition. ‘This may be Singapore’s fourth biennale, but it’s a first in many ways,’ says Tan Siuli, a curator at the Singapore Art Museum. 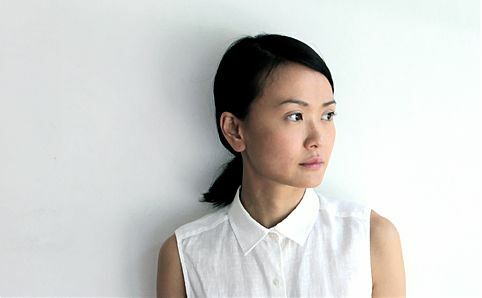 ‘For one, this is the first time we have done without an Artistic Director for the Biennale [and instead] have a team of 27 curators from around the region.’ Among the curators are a number of notable local faces, such as Charmaine Toh of Objectifs, Tamares Goh, programming officer at the Esplanade, and Seng Yu Jin of Lasalle and The National Art Gallery. Each curator proposed a few artists to work with for the Biennale, which means there’s plenty for art lovers to feast their eyes on, from paintings to installations and photography to sculptures from over 100 artists around the world. One particular draw, says Tan, is the strong regional focus: ‘This edition has a very strong focus on South-East Asia [and features many] artists who are not on the usual international biennale circuit, so this is going to be a biennale of discoveries.’ Look out for works by President’s Young Talent winners Zhao Renhui and Liao Jiekai, plus largescale commissions by artists such as Suzann Victor, who will create a rainbow circle at the National Museum, and Nguyen Oanh Phi Phi, who will take over SAM’s chapel with a work of Vietnamese lacquer. After a ten-year hiatus, local photographer Mary-Ann Teo makes a comeback this month with a show of images shot by a pinhole camera made with a rubbish bin. Gwen Pew takes a closer look. Mary-Ann Teo at work on her latest series, ‘Through A Pinhole’. Image courtesy of the artist. 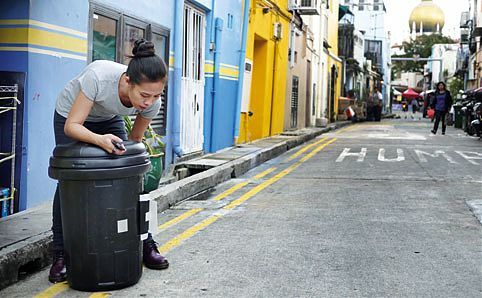 Although the 39-year-old is now a full-time photography and art theory lecturer at various schools – such as Lasalle and Nanyang Technological University (NTU) – and has not held an exhibition since 2003, Teo never lost her gift of seeing the world in quirky ways. This month, she makes a comeback with cool images shot with a rather unusual contraption: a pinhole camera made from a recycled rubbish bin. Born in Malaysia and raised in Singapore, Heman Chong, 36, is best known for his conceptual and often interactive pieces. His current solo show will feature three of his works, including the 100-photo series A Short Story About Singapore (Volume 1). Chong will also be launching his monograph, The Part in the Story Where We Lost Count of the Days, at the exhibition. He tells Gwen Pew more about Short Story. ‘A Short Story About Singapore (Volume 1) #71’ by Heman Chong. Thomas Yeo, one of Singapore’s most renowned second-generation artists and Cultural Medallion winners, holds a fundraiser for The Substation and talks to Gwen Pew about his new series, the idea of change and how to approach abstract art. ‘Ocean World 1’ by Thomas Yeo. 30 Jun 2013: ‘There are two new series in this show: Ocean and Construction. ‘The Ocean series was inspired by National Geographic programmes, as well as from my past experience in scuba diving, so I decided to do a series on fish spawning – but not in a realistic way. ‘The Construction series began after I was confronted with construction work wherever I went in Singapore. In fact, one can hardly escape it if you happen to live in town. As my surroundings were dusty and noisy, I went to my studio in Telok Kurau, hoping to have some peace. Unfortunately, the workers in Telok Kurau started to excavate the drain and the work went on for weeks! ‘Change can bring life into a city, but quite often, destruction and creation go hand in hand. If we have to destroy our history in order to have a new city, then we have to tread carefully. The speed at which change takes place can create confusion for the older generation. However, change is inevitable. No place can stand still.